Admission to the museum is just $5.00; free for members. Our facility is available for rentals seven days a week year-round; please call 506.756.2110. By Air: Fly into the Moncton International Airport, then drive to the Village. 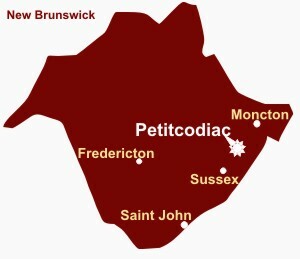 By Land: Petitcodiac can be reached from Highway 1 and Highway 2. For other things to do while in the area please stop by the Petitcodiac Visitors Information Center located in the Maritime Motorsports Hall of Fame facility.